Garlic: If you are a consistent reader of Crafted Wellness, you may already know my love for garlic. Of course, I love its flavor, but it is garlics potency and power in healing that really makes my heart flutter. Garlic has been used for thousands of years and is most common for fighting infections, however it also inhibits viruses, bacteria and fungi both internally and externally. My favorite way to take garlic (besides incorporating it into my food) is to peel a whole clove and swallow it down like a pill. 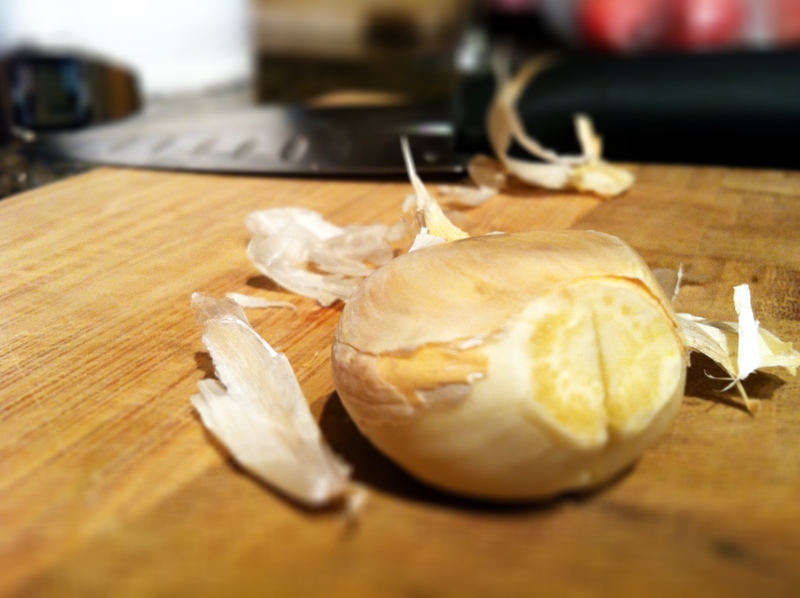 The raw garlic insures that you are getting it in its most potent form. When I am feeling under the weather, I will take up to 5 cloves per day, throughout the day, to help my body fight off whatever I am experiencing. Garlic is also great for heart health by thinning the blood and lowering cholesterol. Incorporating garlic on a daily basis is a great thing to try before relying on cholesterol or blood pressure medications. Ginger: Another goodie! Ginger works wonders for digestions and nausea, and helps reduce bloating and gas. You can also use ginger for colds and flus because it can help to alleviate congestions and sore throats. It also serves as a pain reliever, particularly for headaches, arthritis, menstrual cramping and muscle soreness. You can take ginger in any form (ginger honey, ginger tea, ginger grated on food) but my favorite way is to make a tea out of fresh ginger. Put about ½ inch piece of ginger grated in a jar and then fill it up with boiling water. Make sure to lightly cover the jar to prevent the steam (and medicinal qualities) from getting released. After, strain the ginger out and add honey and lemon to taste. Oats: Ever made homemade oatmeal? Then you most likely have some oats hiding out in your kitchen. Oats are great to use in a bath and offer many soothing qualities to the skin. They are extremely moisturizing and can be used if your skin is dry, itchy, or to sooth a rash (chicken pox, eczema, poison ivy, etc…). To make an oatmeal bath, simply blend (in a bender, food processor or coffee grinder) 1 cup of rolled oats into a fine powder. Then sprinkle the powder into a warm bath, mixing the water as you add the oats. The bath should get a milky color. Soak in this bath for about 20 minutes, and repeat once or twice per day. Cranberry Juice: Cranberries are loaded with vitamin C and antioxidants and drinking REAL, UNSWEETENED cranberry juice is a great way to get that goodness into your body. Drink a small glass daily for its health benefits or as preventative measures if you are prone to Urinary Tract Infections or bladder infections. Peppermint: Peppermint tea is everywhere and is definitely a good staple to keep in your kitchen or in your garden if you prefer it fresh. Peppermint helps to settle the stomach, reduces anxiety, clears congestion, and relieves pain such as headaches and stomach aches. Externally it can be used on the skin to relieve issues such as rashes, insect bites, itching and inflammation. To apply, just use a washcloth soaked in the peppermint tea and apply it to the affected area. When you make peppermint tea it is important to cover the tea as it steeps to prevent losing its medicinal qualities. Steep 20-30 minutes. Chamomile: I love chamomile. I love how it looks, I love how it smells, I love how it tastes and I love how it makes me feel. The funny thing is I never realized ALL of the medicinal qualities that it contained. This delicate little flower brings quite a powerhouse of healing. 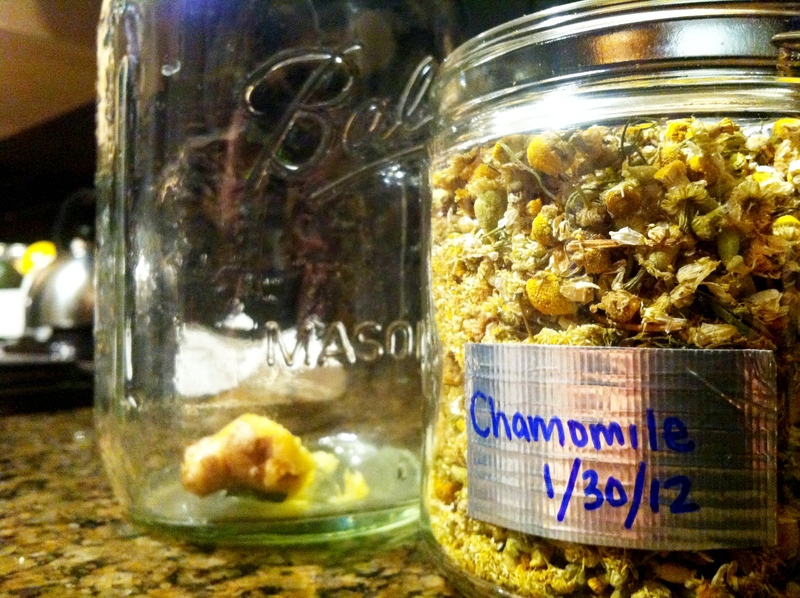 I have always known chamomile as a gentle herb, one that can be safely used on children (teething, colic, restlessness, whining, anxiety, and even pink eye). It is a very calming and relaxing herb (known as a nervine), and is great tea to enjoy before bed. What I didn’t realize was that it also is used to treat fevers, sore throats, heartburn, pain in the gut, chronic bowel issues, and also promotes digestion. It is anti-inflammatory and can be used as a pain reliever for things like muscle pain and menstrual cramps. I mean, wow! What a combo! Cinnamon: Did you ever enjoy cinnamon toast as a kid? My mouth can water just thinking about it. For me, cinnamon is one of those herbs that have been in my life for a long time, but it wasn’t until recently that I learned about its health benefits. As a health coach, I LOVE that cinnamon normalizes blood sugar. Illness from imbalanced blood sugar is one of the biggest health problems in the world right now, so any help, especially from an herb, makes me happy. Cinnamon also promotes circulation, helps with digestion, and acts as a pain reliever for things such as tooth aches, arthritis and menstrual cramps. It also may help with sleeping troubles. Cinnamon can be used to make a delicious tea blend, mixed in with warm milk (your favorite variety), or can be sprinkled on top of a snack, such as almond butter on celery. Any way you choose, its delicious! Thyme: One of the awesome, basic household cooking herbs. Besides flavoring your meals, thyme can also be used for colds and flus, soothing coughs, sore throats and congestion. It is also a great digestive herb… wonder if that is why it’s been such a staple kitchen herb for so many years? Sage: Sage is antimicrobial, so it is great to use on any kind of cough or sore throat. It’s astringency makes it a great option for mouth sores. During the tutorial, they gave a recipe for Sage Honey. Simply mince some fresh sage leaves and place them in a jar, and then cover them with honey, stirring well. After a few hours, it is ready to heal your cough and/or sore throat by simply taking a teaspoon of the honey daily. Oregano: Another great digestive and antimicrobial herb. Use oregano for a cough or sore throat, and also when you have a fever but feel cold (it is a warming herb). It also strengthens the immune system and can be used externally on fungal infections. 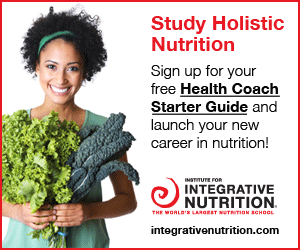 So, what herbs and produce will you start incorporating into your diet? Or better yet, what items do you already incorporate but now you will realize their medicinal qualities? 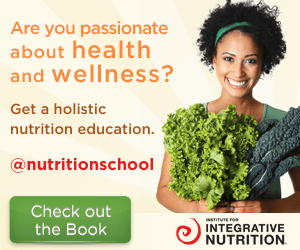 If you are looking for more information about healing with herbs or how to incorporate them into your life, I highly suggest Rosemary Gladstar’s book Herbal Recipes for Vibrant Health. She offers simple recipes with many different and beautiful plants. It’s one I use constantly for reference and inspiration. Tags: healing, herbs, medicine, natural. Bookmark the permalink.